Looking for a sweet and simple way to decorate your dessert table for Easter? Look no further! For an adorable, easy to make dessert table, check out our Bunny Stripe Cake inspired tablescape. All you need for this spread is a Bunny Stripe Cake from Baskin-Robbins, a vase, Easter eggs, Easter grass, and a tablecloth. Just in time for the holiday, the new Bunny Stripe Cake from Baskin-Robbins will have your guests hopping for joy! 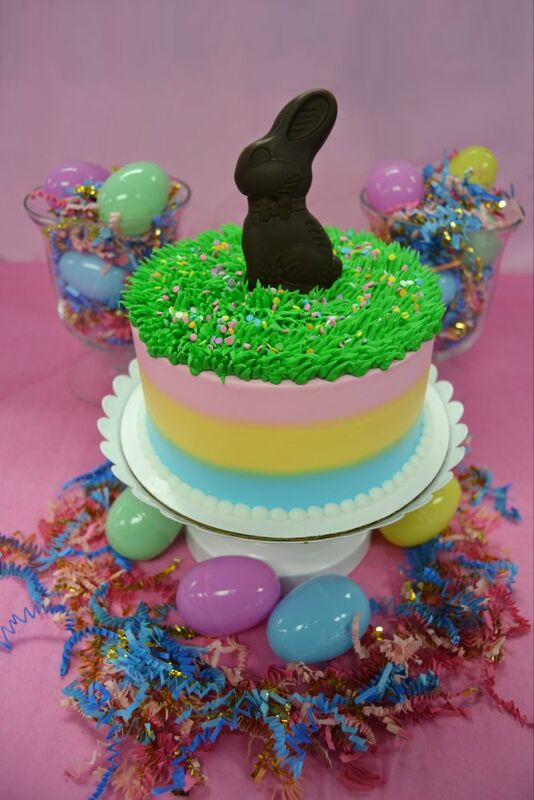 From the delicious chocolate bunny on top, to the customizable ice cream and chocolate or white cake layers inside, your guests are sure to be lining up for a slice. Perfect for a large group, a 6 inch cake serves between 6-8 people. 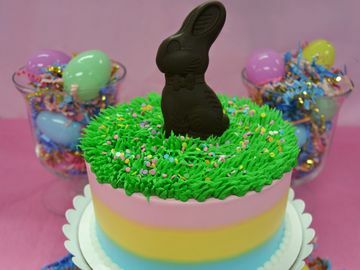 The Bunny Stripe Cake is available for pre-order both in-store or online at www.baskinrobbins.com/onlineordering. 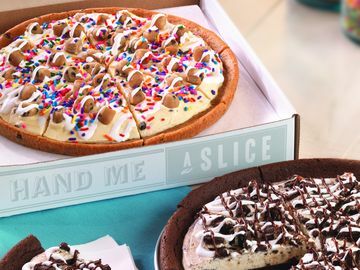 Our ice cream cakes are created and decorated in local Baskin-Robbins shops, so you can work directly with your local store’s cake decorator on any custom design requests. 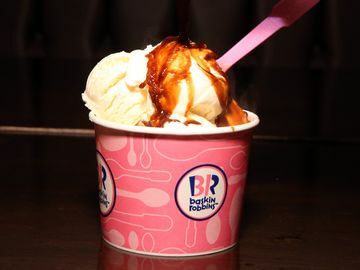 Lastly, ice cream lovers can celebrate the start of spring with Baskin-Robbins’ March “Celebrate 31” promotion. 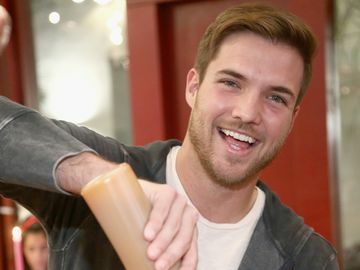 On Saturday, March 31, guests can enjoy all regular and kids-sized scoops for $1.50. * This promotion can be enjoyed on any flavor, including seasonal favorites like Bananas Foster, Tax Crunch® and Triple Grape Ice. 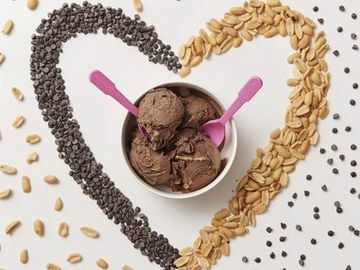 How did you enjoy Easter with Baskin-Robbins? Let us know on Facebook, Twitter, and Instagram! *Offer valid on March 31st. Participation may vary. Scoop offer good on every size scoop. 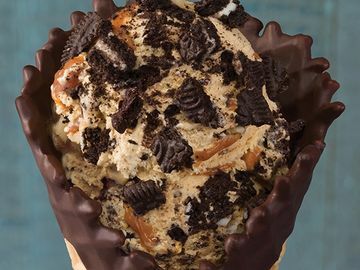 All listed flavors are optional amongst Baskin-Robbins' stores. Waffle cones and toppings are extra. Cannot be combined with other offers. Plus applicable tax.